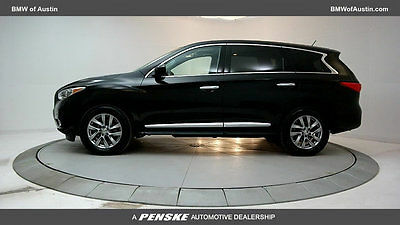 This vehicle will come with a nj Reconstructed Title. Please check with the DMV in your state for registration requirements. 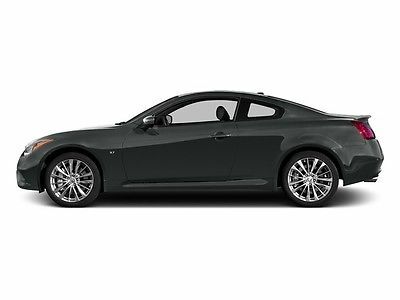 As you can see from the 10+ photos that we have listed this is a great looking and very well equipped 2011 infinit m37 xDrive sedan. 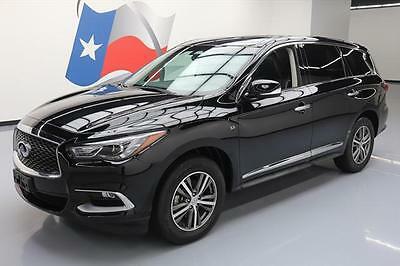 Just to highlight, it features 3.7L 6cyl motor, AWD, and 7 speed automatic transmission, Xenon headlights, Technology Package which includes a Navigation system,head-up display, infiti and Bluetooth, Premium Package which includes a power trunklid, leather interior, comfort access keyless entry and satellite radio ready, heated front seats, Driver Assistance Package which includes a rear view camera, and park distance control, full power options including dual power front seats with lumbar support and driver memory, power moonroof, dual zone climate control, homelink, dynamic traction control (DTC), hill descent control, cd/aux. input jack audio system, 18" alloy wheels and much more. The body is in all around great condition. 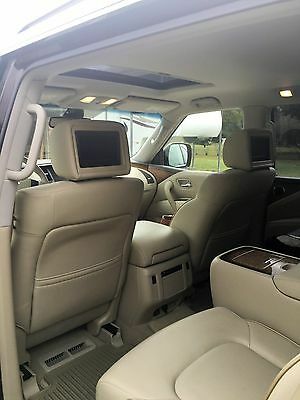 The interior is in equally all around great condition and it is clean. 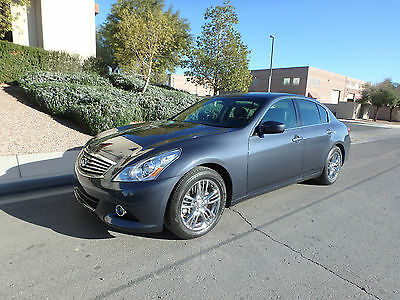 Mechanically this infiniti is in great condition with nothing negative to report. Just push the button, drive and enjoy. 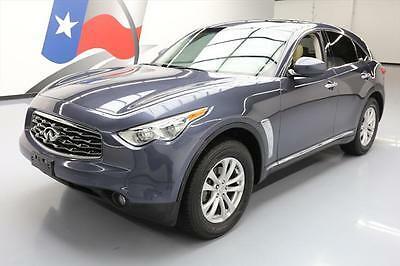 What you can not see in the photos is that this infiniti was previously involved in an accident. , right side passenger front fender, both right side doors, and passenger side curtain airbag were replaced and the right side center pillar was repaired. There was no damage to the engine. 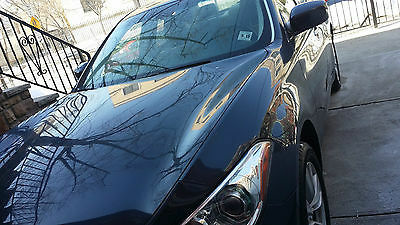 It has been professionally repaired by our facility, inspected and titled in nj and comes with a nj Reconstructed Title. 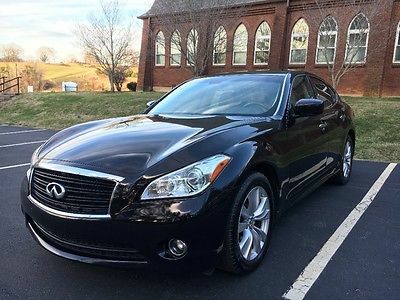 In a nutshell what you have here is a low mileage, very well equipped infiniti m37 AWD sedan that needs nothing more than a new home. It is being discounted strictly for its history. 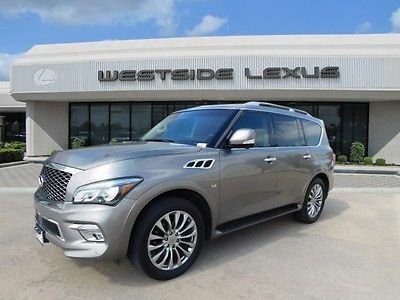 2014 Infiniti QX80 BASE 2014 QX80 Luxary Vehicle; a dream ride. 25,600 miles, warranty, loaded. 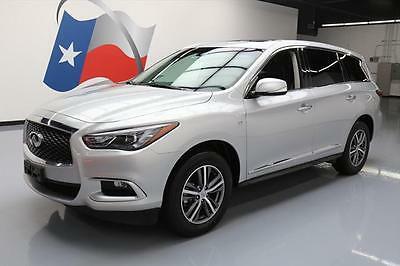 I'm selling our best family car - Infiniti JX35 - luxury SUV. 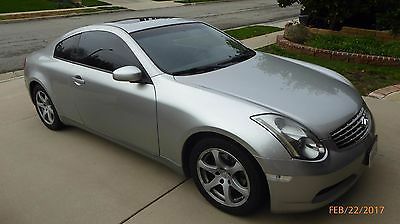 It is in like-new condition and I sell it because I want smaller car as kids moved on to college. 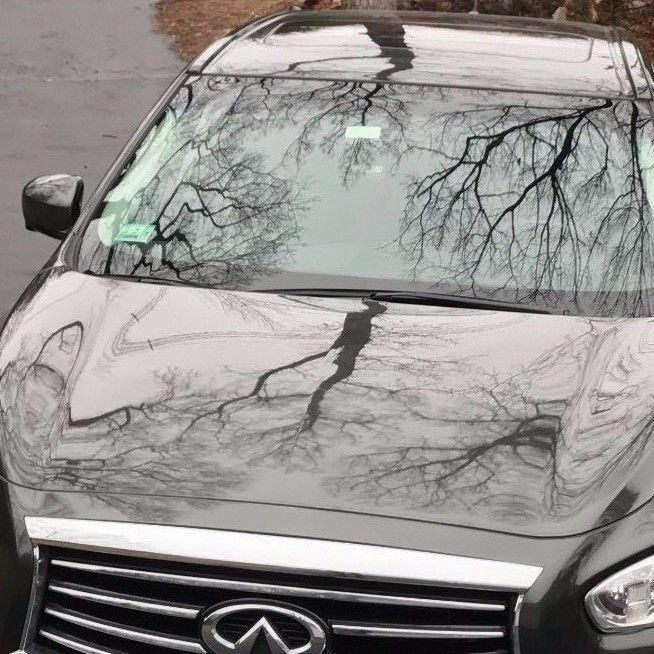 Car was garaged from the day one, I've ordered $895 3M Scratch Guard protection film - with maximum available protection (front/back bumper, hood, mirrors, door handles and much more). 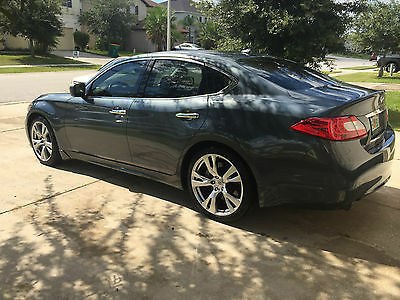 Single accident on record was a rear-ending about three months after I've purchased the vehicle, bumper was replaced by Genuine Infiniti part. 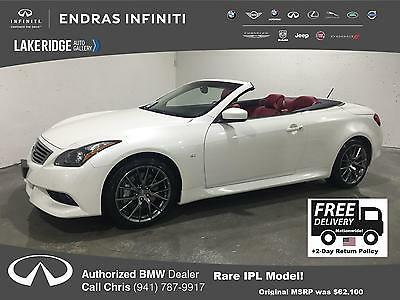 Options included - premium package (Bose sound, heated seats, sunroof, etc) and Navigation package. Local buyers only - my ZIP is 01746. Title is on-hand, no outstanding loans (just paid-off remaining balance). Balance of the factory warranty still applies: 6 years/70000 miles powertrain (2 years remaining)8 years/80000 miles emission (3 years remaining) I've only serviced car at Infiniti dealership - all paperwork is on-hand. KBB value is around $28K (paid close to $50K for a new car).